Have you ever wanted to grab an image from a video? 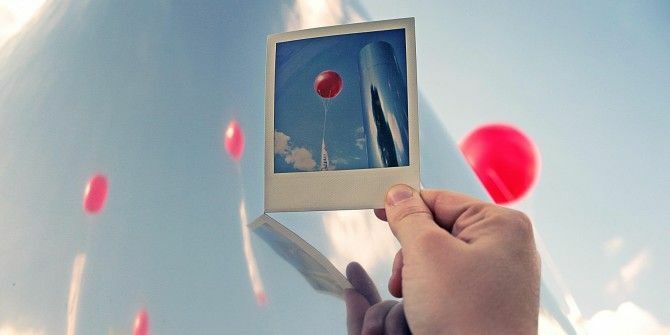 When doing this, you usually want to capture a very specific moment. One second earlier, and you end up with an embarrassing or ugly frame you want nothing to do with. One second later, and the moment’s gone. To grab a good image from a video, you can either rely on your superb pausing skills, and manage to pause it at just the right moment for a screenshot, or you can use a tool to do the hard work for you. If you’re using an older version of Windows such as Windows XP, simple screenshots from videos might not work at all, regardless of how accurately you’ve paused, which leaves you with having to tinker around with hardware acceleration, or, again, with third-party tools. Which of these tools are worth your time, and what can you do with them? Read on. GOM is a free, lightweight and feature-rich media player, that, aside from capturing images, might become your new go-to video player once you try it. GOM Player can play all common video formats, and perform all kinds of feats which you can read about on our full GOM Player review The Free & Powerful Video Player You’ve Never Heard About - GOM Media Player The Free & Powerful Video Player You’ve Never Heard About - GOM Media Player Not too long ago, I found myself impressed by the sleek functionality of GOM Audio for Windows. It turns out that GOM has its own free video player as well - GOM Media Player -... Read More . More importantly, it can help you easily capture images off any video it can play. Once you load the video of your choice, click the Control Panel button on the bottom right to access the screen capture options. From here, you can either click on “Screen Capture” to get an image of the current frame without having to pause, or click on “Advanced Capture” to access more options. Here you can set up and activate the Burst Capture option, which lets you automatically grab several images at set intervals. For example, you can set the program to capture 10 images, one every 5 seconds, click on “Burst Capture” and let GOM Player do the work. If you’re looking for a specific frame but can’t quite pause on it, you can set the interval to 0 to capture a continuous burst of frames from which you can choose the perfect one. GOM Player also lets you decide between JPG and BMP formats, and makes it possible to set the captured image as your wallpaper straight from the capture window. The only thing to note is that the GOM Player installer also tries to install TuneUp Utilities 2013. If you don’t want it, make sure to opt out. 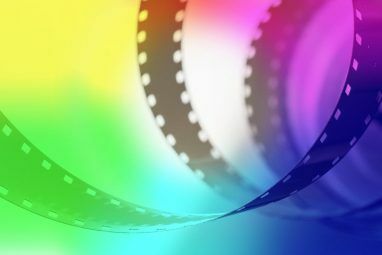 Unlike GOM Player, ImageGrab is a program dedicated entirely to grabbing images off video files. It’s not a standalone media player. Using ImageGrab, you can easily capture images from a specific timestamp, or even grab frames from the entire video at every set interval. To grab one image, you can either press F5 on your keyboard, or use Ctrl+C to copy it to your clipboard. There’s no way to burst capture a certain moment to ensure you get the right frame, but you can follow the video closely, and note the frame’s timestamp as it goes by. You can then enter it manually into the timestamp box, and capture the frame. As mentioned above, ImageGrab also lets you capture images off the entire video every set amount of frames, seconds or minutes. The downside to this feature is that you can’t burst capture from a certain point in the video. Once you activate the “intervalometer”, ImageGrab will start playback from the beginning, and grab an image at every set interval. It will also let you know how many images the operation is going to produce. ImageGrab lets you control file names, image quality, and even inlay text into the video. 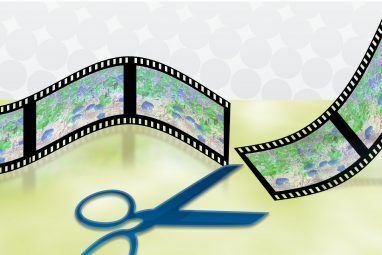 Read all about these extra features in our full review of ImageGrab How To Extract Images From Video Files With ImageGrab How To Extract Images From Video Files With ImageGrab Read More . Note that ImageGrab comes in either a portable version or an installed version. The ZIP file you’ll download includes both versions, and you’re free to use either one. Upon launch, ImageGrab may warn you about some missing filters. You can either install them, or try to go without. I chose not to install them, and could still play common video formats. 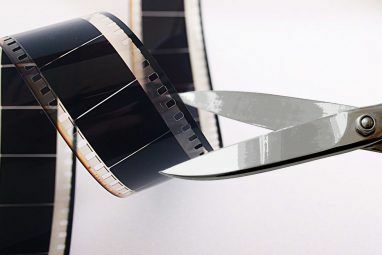 Despite the somewhat spammy installation process, DVDVideoSoft’s Free Video to JPG Converter is an easy way to capture sets of images off entire videos. It’s similar to ImageGrab’s intervalometer, yet this tool offers a better looking interface, and the option to load more than one video at a time. Simply load your video files, and choose your intervals. This can be every set number of frames, every set number of seconds, a total number of frames per video, or every single frame. Once you set this and hit “Convert”, you can leave the program to its own devices while it creates your requested images. The program creates a very convenient output, especially if you choose to create subfolders, with names of videos and timestamps automatically assigned to each folder, and the name of the video with consecutive numbers assigned to the images themselves. The program’s options are a bit thin — you can’t control image quality, format or file name — but it’s a great “click and go” solution if you don’t like messing about with configurations. Remember when I said spammy installation process? Note that Free Video to JPG Converter tries to install both the Smileys We Love browser extension and TuneUp Utilities 2013. Be sure to opt out if you’re not interested. Of all of these, GOM Player is definitely my favorite, and comes in a nice media-player package to boot. It answers most of the usual image-grabbing needs, and can help you capture that elusive frame easily for most purposes. If you’re looking for a large number of images from a video, or if you don’t like the dirty work of setting up and configuring, ImageGrab and Free Video to JPG Converter are definitely worth checking out. What tools do you use to capture exact frames? Do you find that pause and printscreen work best, or do you have a favorite tool to help you? After I downloaded the program it installed software on my computer I didn't want, malware on my computer, and highjacked my web browser from Google to Yahoo and I had to do about a half an hour of research to switch it back. No thanks. The KMPlayer is the best for capturing video screenshots, especially if you like to make gifs for tumblr or social media. You can set it up to capture by frame (either every frame or every number of frames), interval, set number of frames, etc. Once you get it set up, you just hit start when you want it to start capturing and then stop when you want it to stop. Easy Peasy. It tries to install TuneUp Utilities. This is mentioned in the article. You can opt out. VLC Media Player is as good as any.Select "Video" then "Take snapshot" as often as you please.